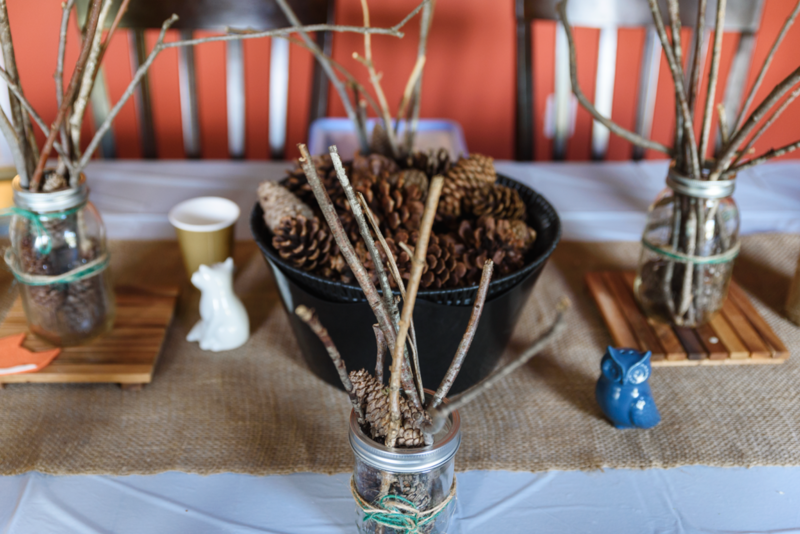 So that organically turned into this adorable rustic, woodland fox themed party that my sister did an amazing job with some DIY projects and using things I already had around the house! 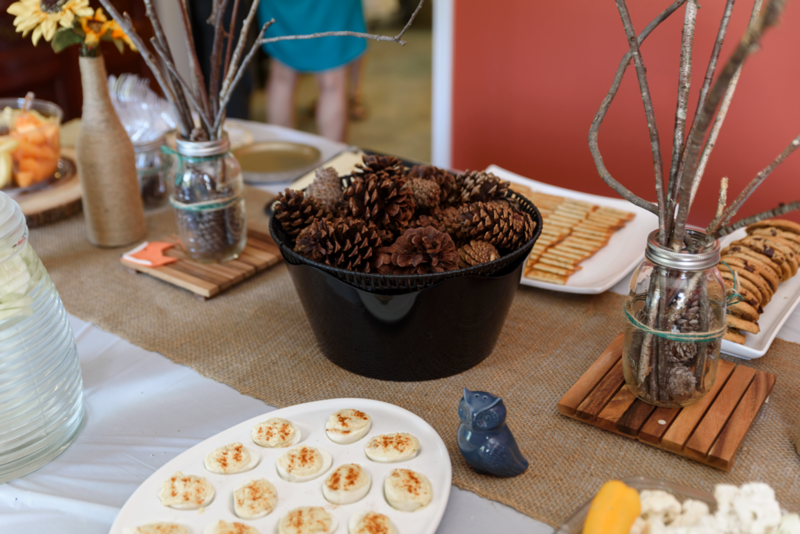 The decor was so cute and as a photographer, I made sure to grab my camera and take a few good photos in between the party that seemed blog-worthy. 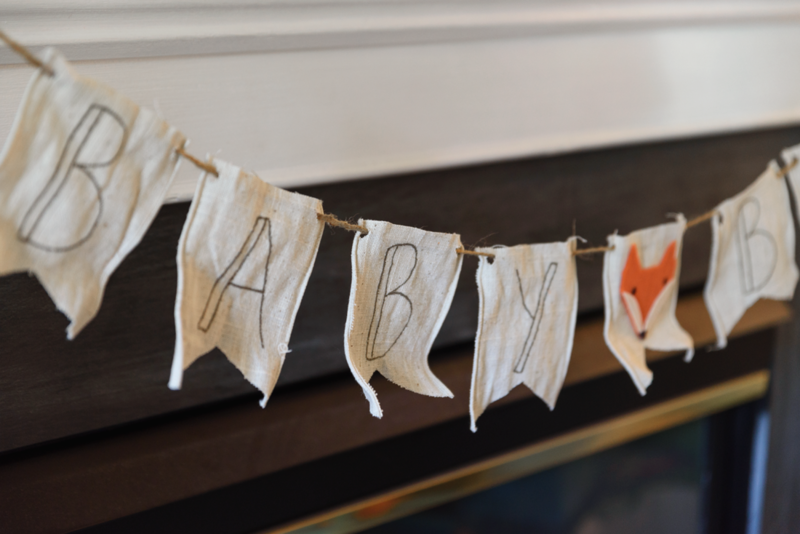 So here’s some inspiration for a rustic, woodland simple DIY baby shower! 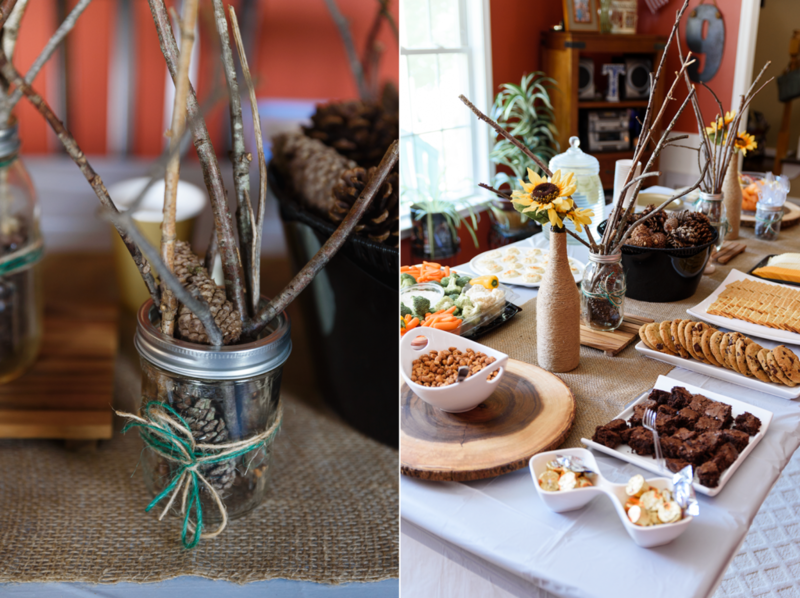 They gathered some sticks and pine cones from our yards, found some old mason jars and the wrapped sunflower vases I kept from our wedding. 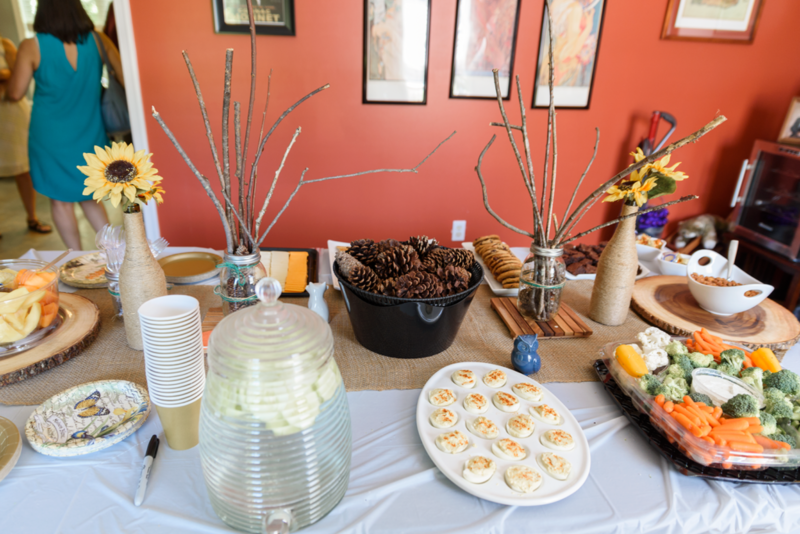 No party is complete in my family without the deviled egg platter! 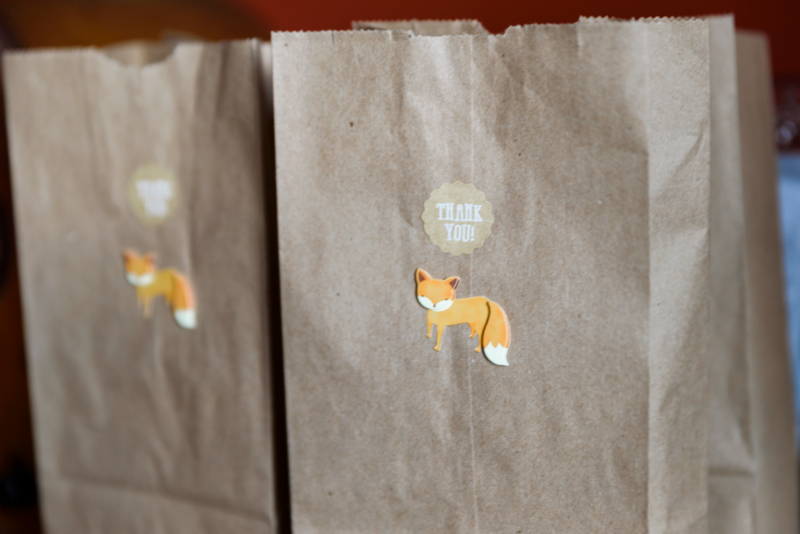 She found these sweet little fox stickers at Michael’s for simple thank you to-go gift bags. 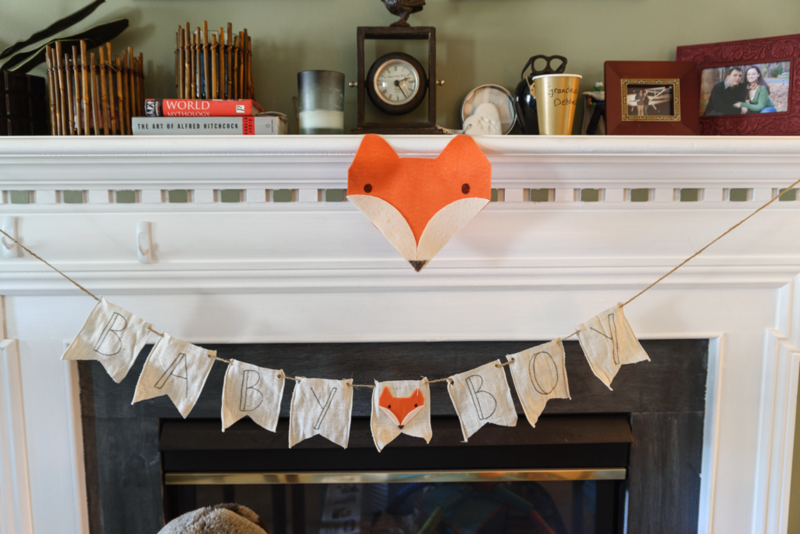 I actually bought this pitcher for her baby shower years ago! 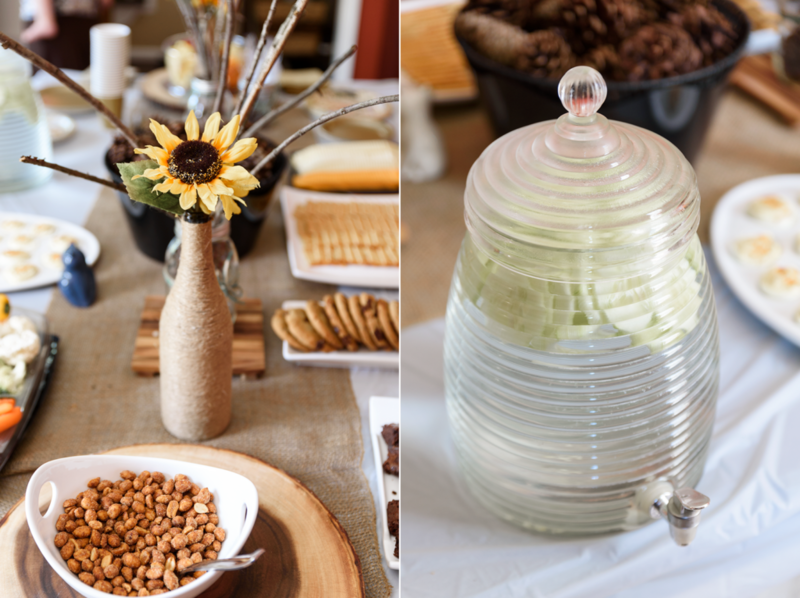 We made some yummy cucumber water to avoid the typical sugary drinks and punches. 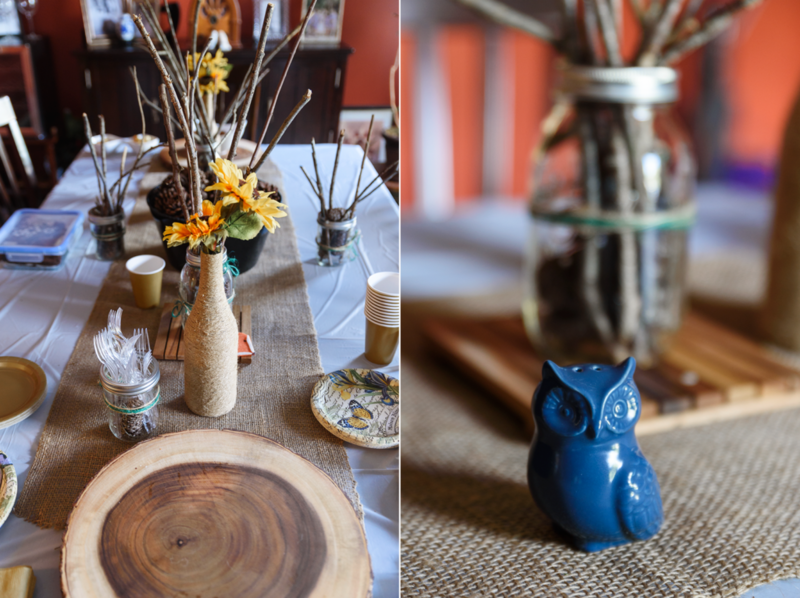 I got the fox and owl salt and pepper shakers from Target last year. 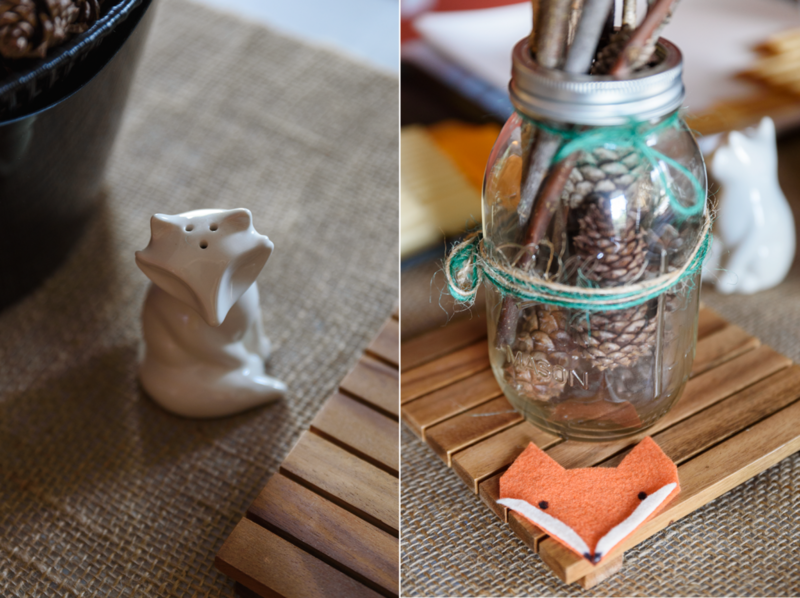 I guess my home does already have a woodland theme :) And a closeup of another tiny felt fox my sister made with the cute pine cone and stick mason jars wrapped in twine. 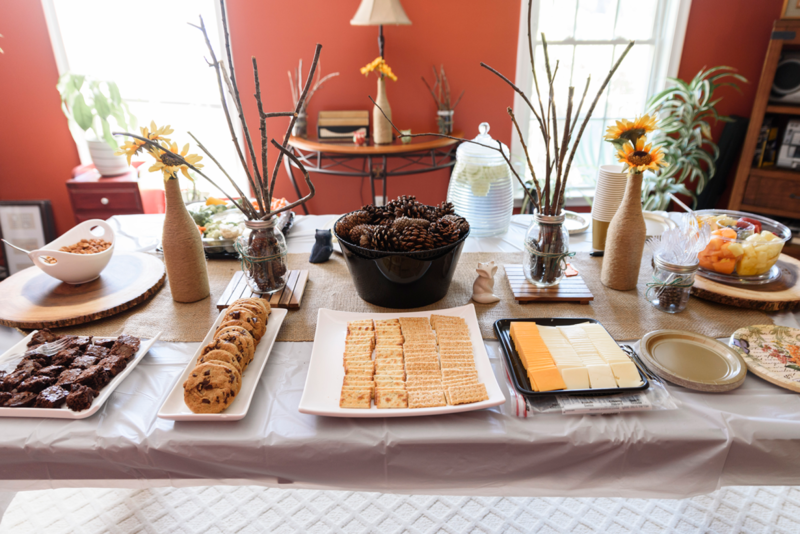 I got the wood slice platters for our wedding, I think they were either from Bed Bath and Beyond or Crate and Barrel, they’re great! 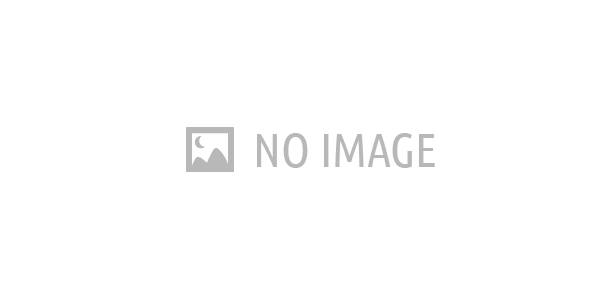 They also made this fun party game. 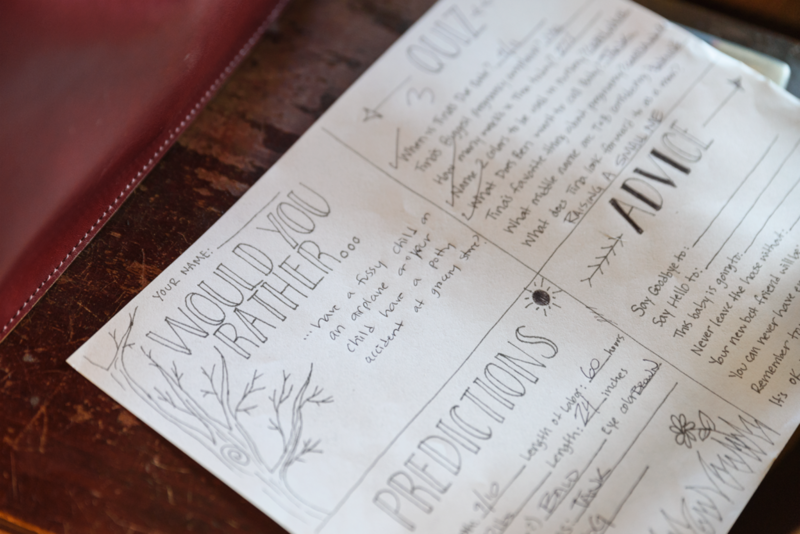 Everyone had a different “Would You Rather…” question, a quiz about the pregnancy, predictions on the birth and advice. It was so much fun to hear everyone’s answers to these! 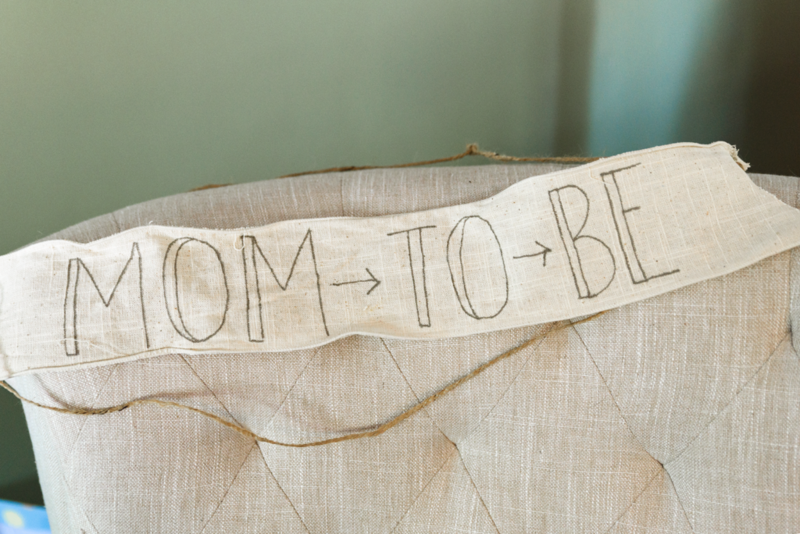 And a simple linen and twine “Mom To Be” banner to adorn my chair for the party. 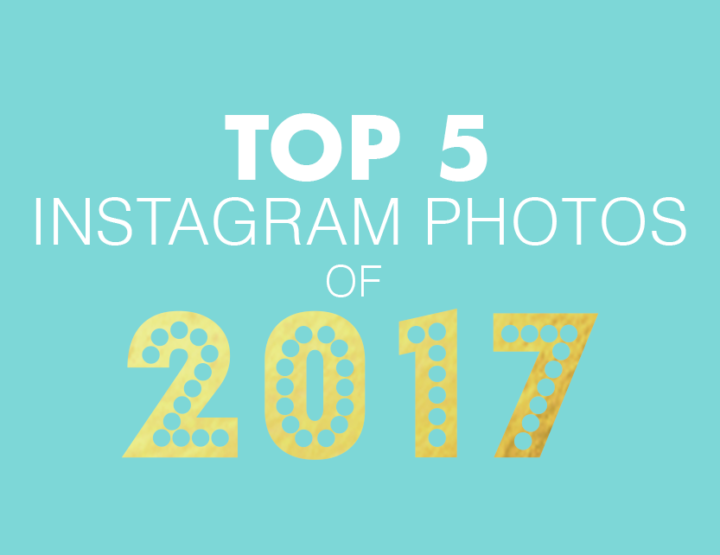 And of course, let’s be social!